The entire Lowrance family of fish finding products was initially introduced back in 2009. This line was a very big step for the company, allowing it to set a new standard when it comes to user interface, features, expandability, and advancements. 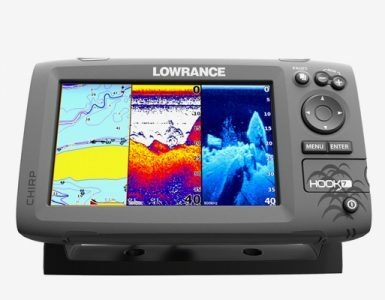 This particular model, the Lowrance HDS 7 Gen 2, comes with a large display with an amazing resolution which can easily be divided into one to four different panels. The panels may also be customized in order to suit the preferences and needs of the user. The display is also very clear and is further improved by the award-winning Broadband Sounder feature of Lowrance. This feature is now built into the products under this line. As a user, you also have a choice when it comes to palette options, which you can choose depending on your personal choice as well as the available light conditions. 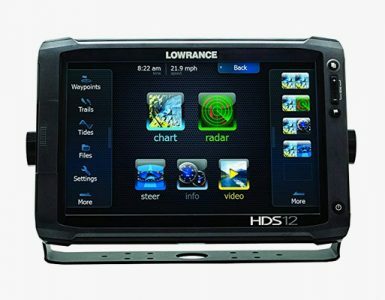 Boaters and fishermen alike can certainly take advantage of the features built-in with the Lowrance HDS 7 Gen 2, particularly its plotter and fish finder capabilities. With this unit, you can be assured that you have access to different options that can certainly enhance the accuracy of your routes, and at the same time, making sure that you can get to locations where you can possibly find fish that bite stronger and with higher frequency. Selecting this type of hardware will surely need some thought, as well as some factual understanding on your end. The actual convenience that this unit can provide you is due to its small size, making it possible to place it just about anywhere. Regardless of whether you are mounting it on a boat, its frequency can offer you accurate data at various depths, while on both mapping, as well as other preset, as well as satellite rendered options. It is also sealed, waterproof, and may even withstand operating temperatures. There are different types of connector and networking options that are available with the Lowrance HDS 7 Gen 2 Fish Finder, including the NMEA 0183, NMEA 2000, as well as Ethernet connectors that allow for easier sharing. Its SD card slot also allows for the use of 3rd party mapping options, as well as other higher resolution data. All of these options can certainly improve the entire fishing experience. In the current market for fish finders, there are several options that you can certainly choose from. Under the same series is the Lowrance HDS 5 which is a combination unit of a fish finder and chart plotter. 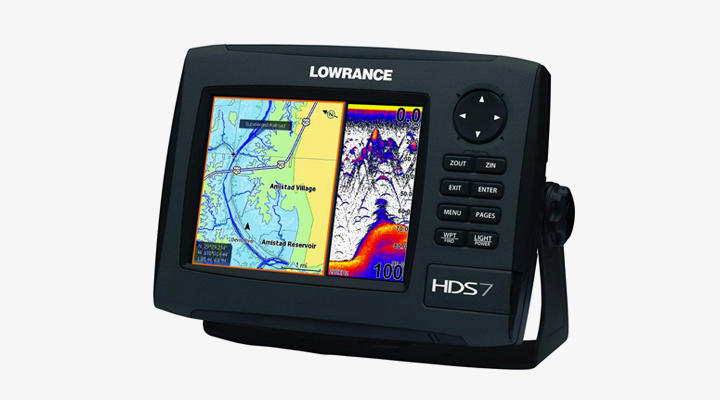 This is a sibling of the HDS 7 but with fewer features as with the Lowrance HDS 7 Gen2 unit. On the other hand, if you are more into focused fishing, such as when you are doing ice fishing, you can also select a product that is primarily designed for this purpose. The Marcum VX 1 Pro model also comes with features that make it a good fish finder. It is among the most portable options that are currently available these days. It also uses a patented interference rejection level that makes the signal clean and clear. Taking a close look at the features of the other fish finders, it can still be said that the Lowrance HDS 7 Gen 2 is the better option when it comes to the availability of advanced features that are fit for serious boaters and fishermen. As the options are presented in front of you, it is very important to take into consideration your actual needs in order to come up with the best options possible. In the eyes of a basic user, the Lowrance HDS 7 Gen 2 unit will certainly open up several doors that are way beyond expectations, thanks to all of the advanced features equipped in this unit. It has a lot of advanced features and capabilities which enable ample growth as needed. This option is certainly one of the best ones available today. For instance, this unit has a huge 8.4 in/21.3 cm display, which is also equipped with a super VGA 600V x 800H resolution which can easily be divided from one to four customizable panels which can meet your needs. 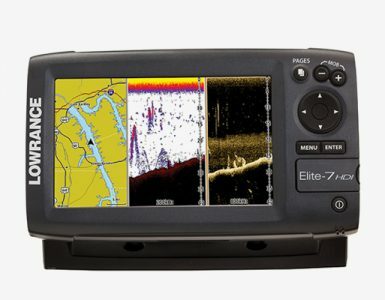 The display offers great clarity and is even enhanced with the use of the award-winning Broadband Sounder of Lowrance. Now, you have the option to select from the wide array of palette choices that you can select based on your personal preferences, as well as current light conditions. As compared to older models, you may notice that HDS 7 Gen 2 comes with menu key buttons which have been arranged differently. However, they still flow well based on the related menus. At the upper part of the menu, keys the arrow keypad, which works like the mouse of this unit, helping you move around the different menus. This fish finder is very convenient and small and you can easily mount it on a boat. As a boater, you will certainly find all of the options available as very helpful and can even improve the accuracy of your search. This can also make sure that you are reaching the right locations where fish will bite stronger, thus ensuring that you will never go home empty-handed. Surely this will allow you to enjoy the fishing experience even better.